1. My baby is getting ear tubes. He can't hear very well because of chronic fluid in his ears, not to mention multiple infections. I'm both glad and apprehensive about this, but know it's for the best. My two oldest have had tubes as well, so I know the drill. 2. I'm really looking forward to incorporating brights into my spring wardrobe. (I tend to be a black kind of girl.) I especially love this, these, and that. 3. I have learned that whenever I walk through our playroom at night, it's much like walking in the ocean. I have to shuffle my feet to avoid stepping on something that might kill me...such as a lego. 5. 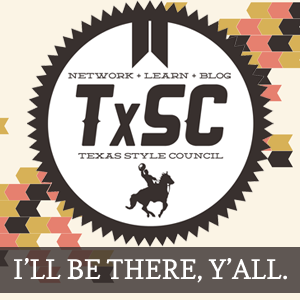 I'm attending the Texas Style Council in a few weeks and am super pumped. I need to find a posh outfit for one of the nights and I'm thinking of checking out Rent The Runway....has anyone tried it?